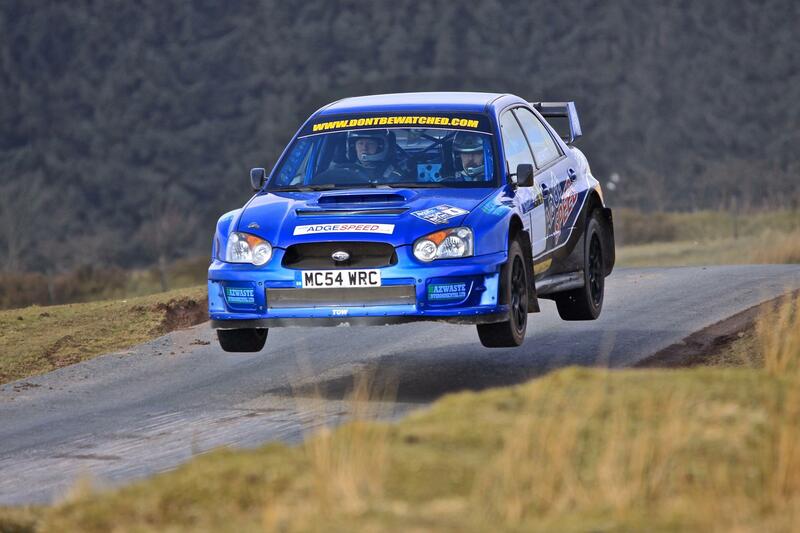 Well the big day arrived for the Adgespeed rally team of Adrian Spencer and Mark Hewitt to go up against the big boys on the Tour of Epynt Rally on the 1st round of the MSA National Asphalt Championship 2016 in Adrian's recently acquired Subaru Impreza WRC S11. 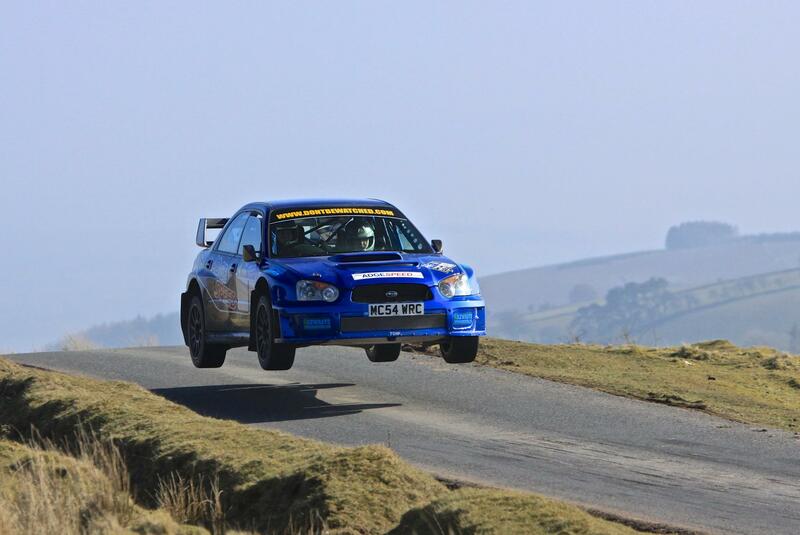 Feeling good after the recent shakedown on the Jack Neal Memorial rally at Blyton and with Mark Hewitt back on the notes, it would be the teams 1st event on the challenging tarmac roads of the Epynt ranges against similar cars. With last years winners Simon Mauger leading the field away in the Millington powered 6R4 Metro, followed by 6 times National Asphalt Champion Damian Cole in his Ford Fiesta WRC at 2, previous event winner Steve Simpson in his Subaru Impreza WRC S12b at 3 and seeded at car 4 it was Adrian's and Marks highest seeding for the event having never been in the top 10 before, but last years 4th overall in the old B13 car obviously helping. Seeded 5th was Eian Pritchard a previous multiple winner over Epynt in a Ford Focus WRC and with several top B13 drivers Bob Fowden, Richard Clews, Rob Tout rounding out the top ten is would be a challenging day adapting to the new car over these roads. The day dawn dry and bright and not too cold, so tyre choice was very easy going for soft slicks for the 1st stage 3.83 miles from Dixies down to the Llandeilo'r Fan Triangle then up to the Burma road and finishing just down from Bamfords. A fluffed start and Adrian lost a few seconds getting away after the lights went green, but still set 4th fastest time only 1 sec behind Simpson and Mauger and 2 behind Cole who was quickest. 5 seconds down on Adrian were Fowden and Clews the new cars speed showing from the outset. Stage 2 11.25 miles started from Picadilly then up to the new cut triangle, down to the bottom of the German Village, along the Cileni track to 4 Ways and out to the New Road ending up near the Drovers. A great drive saw Adrian and Mark joint 2nd quickest with Mauger only 3 seconds behind Simpson and beating Cole by 1 second to stay 4th O/A. The measure of the new car was that the quickest of the B13 cars Clews was 18 seconds slower over the 11.25 miles, with Fowden a further 2 seconds back. Stage 3 was a repeat of Stage 1 and with all drivers improving on their stage 1 times Adrian was 4th fastest but only 1 second behind Mauger/Cole, but 4 behind Simpson who was now starting to set the pace. Stage 4 a repeat of stage 2 and it was in this stage Adrian stalled the car on a tight hairpin losing 13 seconds in the process at the New Cut triangle, but again still set 4th quickest, but would have been right there had it not been for the mistake. So after the 1st 4 stages it was Simpson leading with Cole 8 secs back in 2nd, Mauger another 3 secs back in 3rd and Adrian 4th 15secs behind Mauger. 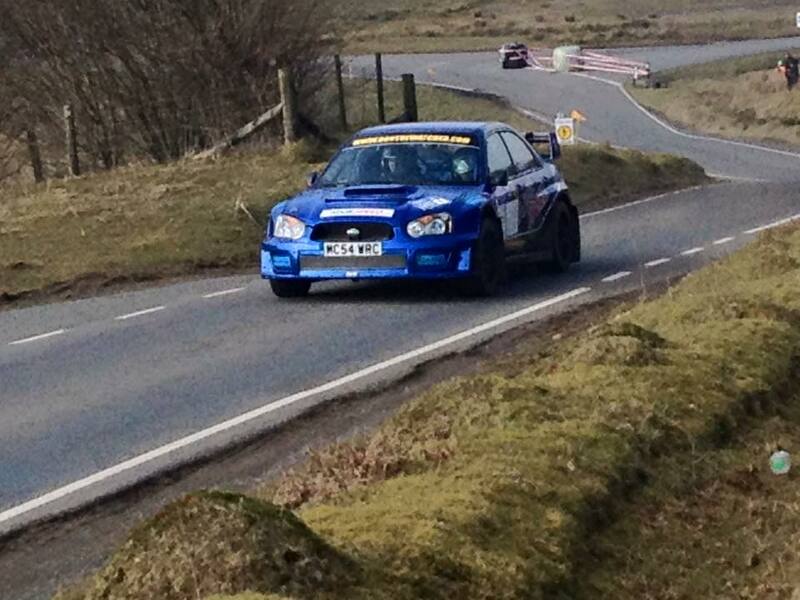 First of the B13 cars was Clews in 5th 30 secs behind Adrian. Stage 5 was stages 1 and 2 joined together for a 14.6 miler and with Simpson again setting the fastest time Adrian now getting to grips with the car went 3rd quickest, 8 slower than Mauger but 8 quicker than Cole to move to with in 10 seconds of Cole. With the weather staying cool and dry it was time for the turnaround, so had the penultimate stage 6, 14.54 miles starting from the Drovers end, back to the finish at Dixies. Adrian had a great run setting second quickest time beating Mauger by 1 second and Cole by 10 to move him into joint 3rd overall, Simpson in a league of his own being 10 seconds faster still. Drama's were to strike Simpson who had a small fire at the end of the stage, but this was thankfully quickly dealt with and his service crew sorted the problem in service. So it was down to the last stage and with Cole having bolted on a new set of tyres, it was getting serious. Despite Adrian matching his previous time, Cole's new tyres worked well and he beat Adrian by 1 second to clinch 3rd overall and with Simpson only a second slower on this run took a well deserved win 29 seconds in front of Mauger, with Cole 27 seconds back in 3rd and Adrian in 4th 1 down from Cole. Pritchard in his Focus WRC improved later in event having been rusty to take 5th, 1 minute 30 secs behind with Fowden a further 6 seconds back. Clews took 7th after loosing some time on stage 6. So a highly delighted Adrian and Mark finished the rally and although Adrian had not improved his finishing position from last year, it was great to be fighting with the front runners, if only he had not made that one mistake on stage 3 then 3rd O/A could have been theirs. Still its was a great days rallying with fantastic conditions on fantastic roads and with the car in 1 piece its back to the workshop to prepare the car for its next outing.